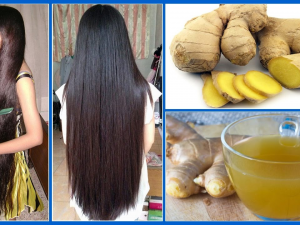 14 inches weave hair is made of 100% Vietnamese women real hair which is not only beautiful but also good for your health. The living standard of people all around the world is getting better and better. That is the reason why people have much more demands for other things in their life. Being beautiful is never obselete. Everyone wants to make themselves look more gorgeous than they are before. Today, let’s talk about one of the indespensible things to women which make them stunning: 14 inches weave hair extensions. What is 14 inches weave hair? 14 inches weave hair is the hair which is supplied by Apohair, one of the biggest hair wholesale in Vietnam. It is also called as machine weft hair because it is weft all together in one line by hands or machines. This makes it look so neat to bring with you or to apply. We now provide 14 inches weave hair with a big quantity and in high quality. We classified our hair in many standards, types, textures and colors. In terms of hair standards, we have four main standards of hair for you to choose. The simplest one is single drawn hair which has both long and short strands in the same bundle. Thanks to this, the thickness of it is not equal. In fact, it is thick in the top and thinner in the end of hair. It is the cheapest hair we have. Double drawn hair and super high quality drawn hair are better than that. They have almost same length hair with almost same thickness. 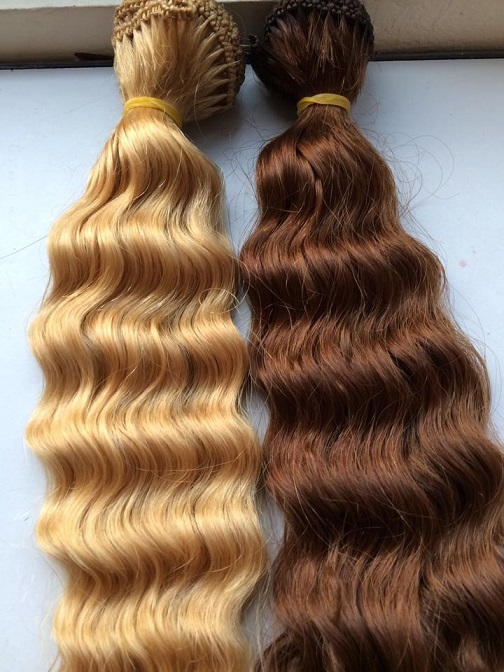 Euro standard drawn hair is the hair with best quality in our company. It has same length hair with same thickness in every part of the hair. It is also the most expensive that we have thanks to its quality. When it comes to hair types, alongside with weave hair, we also tape hair, tip hair and clip in hair extensions. Those hair extensions are attached with some hair accessories which help to secure hair. Besides, Apohair also has bulk hair which is basically tied with elastics and some other types of hair such as closure, frontal or wigs. 14 inches weave hair is now offered with many textures namely curly hair, wavy hair and straight hair and many colors. 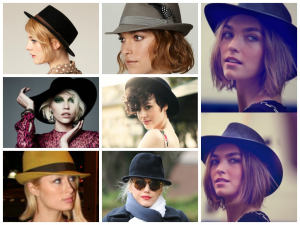 You can choose one of these: black, brown, yellow, light yellow, blonde, ombre, mix color and highlight whatsoever. Any colors are welcomed. How we collect hair extensions at the first place? To make such beautiful hair extensions for you is a long story. We have to send our staff to go to many regions in our country to find the most beautiful natural hair for you. Most of the time, people don’t want to sell their virgin hair. Those women here really love their long, black hair so they insist not to sell it. We have to persuade them to donate the hair with high price in order to have hair extensions for our customer. 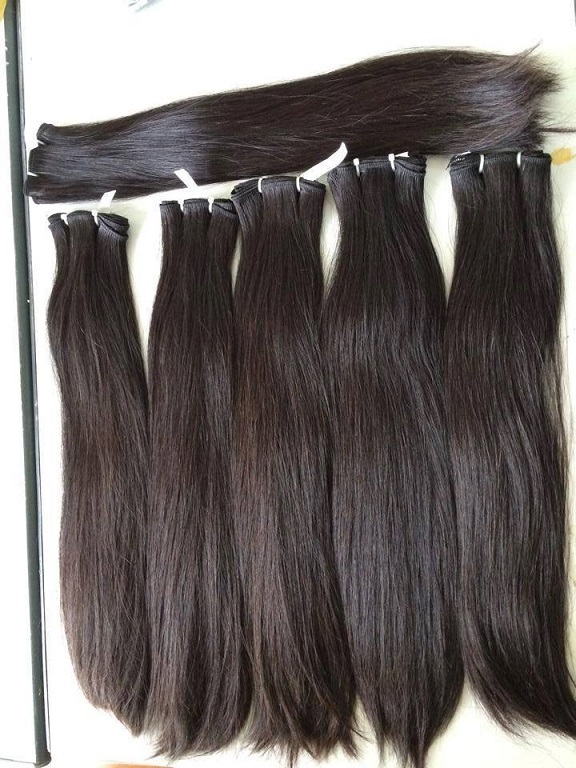 The virgin hair which is hardly ever processed is collected to our factory. After classifying, cleaning the hair, we start to make it the wav our customers want it to be. 14 inches weave hair is one of our precious hair products which can definitely satisfy our customers.